In June I spent eight days in a house on the ocean on the coast of Baja, Mexico, following a big “yes!” when an invitation came my way. An inner voice knew it was time for a journey, a pilgrimage in a way. I just had a full, intense sprint of creating and what felt like birthing the 2-year book writing project for The Mindful Day, in parallel with building PurposeBlue and teaching mindfulness, followed by the March book launch (scary, exciting) and a bi-coastal book tour (joyful, moving) – and I was clearly ready to pause, disconnect from the busyness and create space in my life. The journey to the land in Baja amplified my appreciation for knowing what we all do at some level, that choosing to carve out time – a week, a day, or an afternoon, is a purposeful action that can bring clarity, unrest, affirmation, more questions, peace, and ultimately awe, belonging and joy. It is in these spaces of recovering lost connections that we spend time in nature, with ourselves and in community, and in a way that unfolds and deepens over the days. We were ten women, from 30 to 75, and spent the week in deep conversation, music, painting, dance, writing, swimming, rituals, ceremonies and celebrations. We connected to the land and the locals, including the women, healers and wisdom workers that came to teach us, tell us stories, and show us how to return to the essence of what humans have always known. A local shaman, Saul, generously supported us collectively and individually. He opened and closed our week with a circle ceremony on the beach, all of us in white, getting clear on why we came and what mattered most in our lives right now. 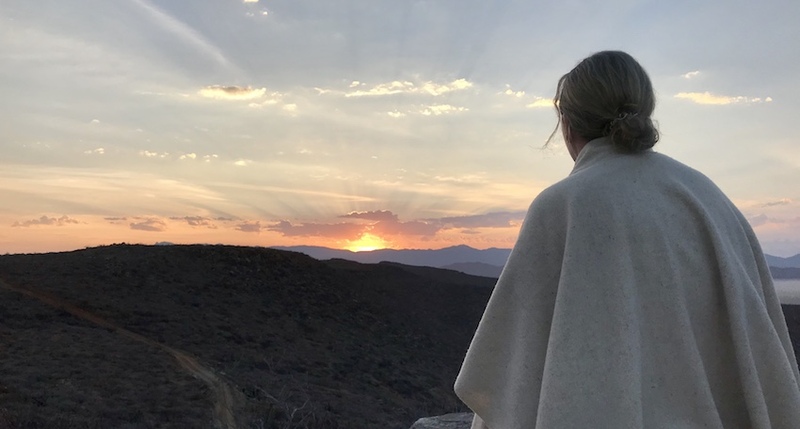 To prepare, the day before we were graced by a visit from a local woman healer who spoke to us with shining eyes about her own vision quests in the desert, hers lasting for days, and how she used prayer and song to connect to her ancestors and the earth. She taught us how to transform what might feel hard into unforgettable joy. Then she sang for us, and her music returned to me the next day on my own quest, but now with verses of my own. The shaman laid a circle with rope around my tent, about 8 inches from the edge, and the rope created my boundary for the day. He gave me a radiant smile, planted a stick of incense near the tent and left me in solitude. I placed stones around the circle at each of the four directions: North, East, South and West, and designated each direction with an element: air, water, fire and earth. 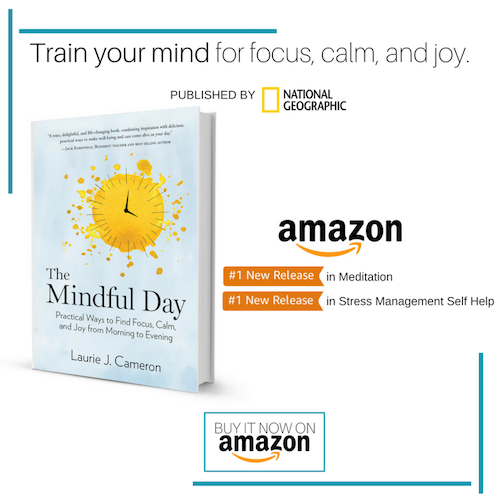 During the day, between napping and dreaming, I circled the temple in a slow walking meditation, pausing at each element, asking questions about what I need more of and less of in my life. What was I willing to let go of? What was waiting to come through me? The setting filled me with awe and wonder at how a wild, untamed land could be this beautiful. A row of 97 palm trees swayed in the breeze on the north side, dancing and keeping me company. A silver-twisty-branched tree stood guard on the south side, and a lone palm was my companion in front of the purple mountains to the east. To the west, I heard the crash of the ocean waves nearby. I went on the quest with a big question, and when the sun had passed through the highest point in the sky and was descending towards the ocean, about an hour before I would be “drummed in” to return to camp, I got the answer I was seeking. I reunited with my group and had no words to describe the experience. On my final morning, under the full round moon, I met Saul at 5:30 and drove in the dark through the desert to the top of a mountain – at the very edge of the land where in one direction I saw vast dessert and mountains, and in the other the expansive blue ocean, with white water crashing on the large rocks far below. It was his place of ceremony and sacred rituals, of prayer and listening. We were both dressed in all white and watched the sun slowly crest and rise over the mountains as the full moon shone in her beauty over the ocean. We were held by the land, the blue water, the golden desert, the grove of lush palm trees below, the sun and the moon. Saul performed rituals of cleansing, releasing, and healing with a bouquet of fresh herbs in his hand. In that place of natural beauty, we had insightful conversation about my way forward in this life. A poem fell into my hands that week in Baja – from a book I picked up in the library of the house of Modern Elders that we called home. It just happened to be from one of my favorite poets, Mary Oliver. I read it every night before my own evening prayer and meditation. A week later, my friend and PurposeBlue teaching colleague Paul sent me the very same poem after I described the Baja experience to him. I share it with you now, as our lives are full of transitions, and we are all on journeys. The question is – are we on autopilot, moving through life in a trance, or are we awake, conscious and intentional? This summer, can you plan space and time for your own journey into nature, to be with yourself and held by the elements – to hear your own voice, and the voice of divine wisdom ringing clear and true, guiding your way towards what matters most?